As part of NUVO's laboratory upgrade in 2012 a Montech Rubber Process Analyser 3000 (RPA) was commissioned. This is a dynamic rheometry instrument with similar basic principles to the more commonly-used Moving Die Rheometer (MDR). Unlike MDR, however, the RPA allows the strain, frequency and/or temperature to be varied in one test, which vastly broadens its capabilities as an analysis and development tool. The RPA measures the elastic and viscous responses of a rubber to an applied strain. Further analysis of these responses provides invaluable insights into the processability, performance and cure characteristics of the rubber compound at a molecular level. 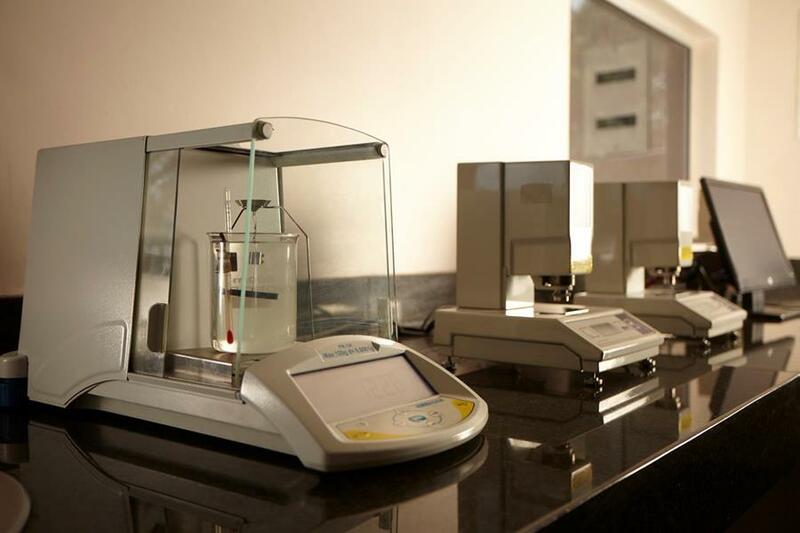 The RPA also allows measurement of the tan delta of a rubber compound, which can be used in the development of more energy efficient compounds. 1. Frequency Sweep: Changes in elastic and viscous responses with frequency can provide insight into both raw polymers and uncured compound. 2. Strain Sweep: Changes in elastic and viscous responses with strain can provide insight into the degree of filler dispersion and structural integrity of the filler network. The development of energy efficient compounds. An example of a situation where NUVO have used the RPA is illustrated in the graphs below. In this example a specific compound was mixed using two different mixers at Nuvo – namely the K6 Intermix® and the F305 Banbury®. RPA analysis was then used to select the most effective mixer for this compound. The graphs shown were obtained using the Frequency Sweep test mode and illustrate the change in tan delta against frequency for a number of different batches that were mixed on each mixer. This results showed that the K6 Intermix gave a lower degree of batch-to-batch variability and was therefore the most effective mixer for this specific compound.